A VISIT TO the world-famous site of Machu Picchu is a once-in-a-lifetime event. It makes sense that the journey itself is as special as possible too. Named after the American explorer who rediscovered the Inca citadel in 1911, Belmond Hiram Bingham absolutely looks the part. 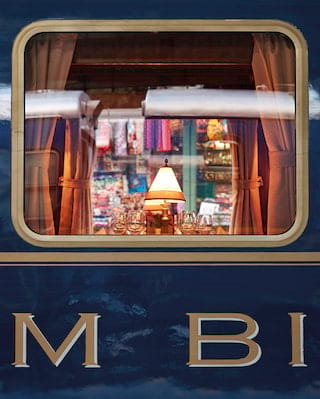 In its Pullman-style carriages you’ll find polished wood, sumptuous upholstered armchairs and beautiful antique fittings. Crucially though, it also feels the part. This is a place where elegance and old-fashioned charm come first. You’ll be looked after with unerring grace. Departing from Poroy (a short ride from Cusco), our maître d' will welcome you to the dining car for a luxury brunch as you settle in. Later in the journey you might like to take a pisco sour in the bar car. You’ll find Peruvian hospitality with our warm and tuneful local band. 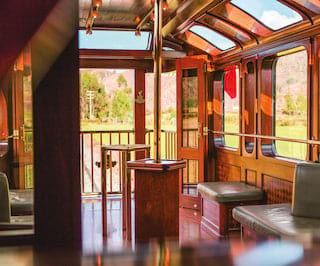 Spending time in the observation car is an absolute must; you’ll truly feel like you’ve stepped back into the golden age of travel. What’s so relaxing about this excursion is its leisurely pace. The route itself is 57 miles and lasts about three and a half hours in each direction. You’ll traverse the Sacred Valley of the Incas, stretching from Ollantaytambo to Písac along Urubamba River (the Sacred River). Expect to be mesmerized by the sight of its vast mountains and deep green valleys, complete with roaming llamas. As the scenery changes from ancient towns to lush cloud forest, the sense of adventure and discovery is unparalleled. Seeing Machu Picchu for the first time is breathtaking. As part of your Belmond Hiram Bingham experience, you’ll be met by a personal guide who will show you around the ancient site. You can even get a special stamp for your passport when you’re on the site. Once you’ve explored, you’ll take afternoon tea at Belmond Sanctuary Lodge at Machu Picchu’s gates. 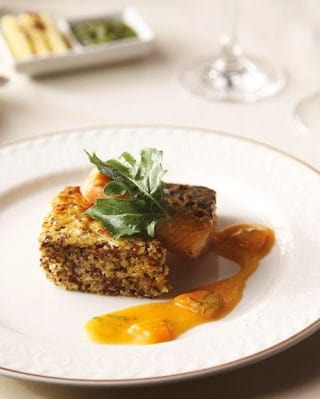 On your slow, sweet return journey, savour our four-course, Andean-inspired menu served on Villeroy & Boch china. The fresh, organic produce we feature is grown the Sacred Valley, and our meats are cooked with sumptuous Peruvian sauces. Such is the splendor of this journey, we also offer longer adventures which include stays in Lima, Cusco and the Sacred Valley. Whichever route you choose to take, you can expect beautiful service to match the extraordinary views.